As the outgoing president, Goodluck Jonathan, bans FGM in one of his final acts, groups look to the last African nations who have not yet made it illegal. 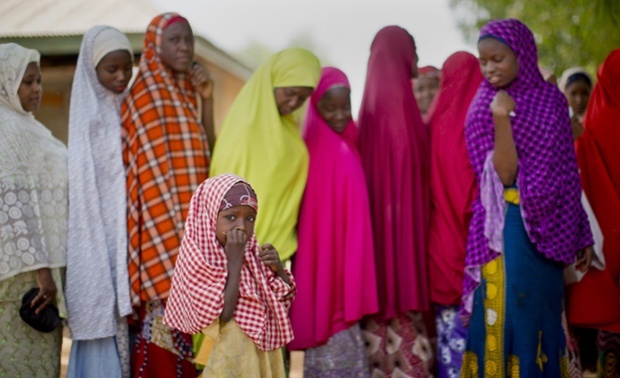 The Nigerian government has taken the historic step of outlawing the practice of female genital mutilation (FGM), in a move campaigners describe as “hugely important”. Nigeria – a cultural and political powerhouse in Africa – introduced a new federal law banning the practice, which involves removing part or all of a girl’s outer sexual organs. The outgoing president, Goodluck Jonathan, signed the ban into law as one of his final acts as leader. He was beaten in Nigeria’s presidential election in March by Muhammadu Buhari, who was sworn into office on Friday. The law, which was passed by the Senate on 5 May, also prohibits men from abandoning their wives or children without economic support. Around a quarter of Nigerian women have undergone FGM – which can cause infertility, maternal death, infections and the loss of sexual pleasure – according to 2014 UN data. The practice was already banned in some states, but now it will be outlawed throughout the country. It is estimated that 125 million girls and women globally are living with the effects of FGM, which is most widespread in Africa and the Middle East. The Guardian recently launched a global media campaign to end the practice, with backing from the United Nations Population Fund, in order to help local journalists report on FGM and shed light on its consequences. The news of Nigeria’s ban was welcomed by campaigners who hope it will have a knock-on effect in other African nations where FGM is still legal and widely practised. “This is fantastic news and a landmark moment. We are now one step closer to ending this harmful practice,” said UK international development secretary Justine Greening. Others stressed that the battle to end FGM in a generation was far from over, saying it was crucial that attitudes, as well as laws, were changed. “It is crucial that we scale up efforts to change traditional cultural views that underpin violence against women. Only then will this harmful practice be eliminated,” said Stella Mukasa, director of gender, violence and rights at the International Center for Research on Women, writing in the Guardian. Tanya Barron, chief executive of the global children’s charity Plan UK, said prosecution must be just one strand of international efforts to end FGM. “This must be centred on working with girls and their communities to ensure that they know the risks of this human rights violation,” she said.